Kevin Smith Transportation Group is a Luxury Transportation company that services the entire Greater Philadelphia, PA area. KSTG delivers services daily in Bucks, Chester, Delaware, Upper Providence and Philadelphia counties. This includes more than 300 cities, towns, boroughs and Providences across the area. One of the places a KSTG vehicle will regularly service is Upper Providence Township, PA.
Kevin Smith Transportation Group delivers both Leisure and Corporate Transportation services in Upper Providence Township, PA. KSTG’s Leisure division will often be seen sending out a Wedding Limo or Wedding Shuttle on most weekends. Service requests for a Limo or Party Bus for a Night on the Town or a trip to Philadelphia, PA for a concert or show is very common and popular for those who live in Upper Providence Township, PA. The exciting requests for a Party Bus to the Manhattan Cruise Terminal or a night out at the casinos makes for a great night. If you are fortunate enough to work for one of the amazing companies in Upper Providence Township, PA, then you may require the services of Kevin Smith Transportation Group and our Corporate Transportation division. Airport Transportation is a common service request with Philadelphia International Airport (PHL) located so close to Upper Providence Township, PA. However, with nearly a dozen International Airports in the Mid-Atlantic area, many companies will utilize KSTG’s services for Airport Transportation to Newark International (EWR), Kennedy Airport (JFK) or other points north or south of the Philadelphia, PA area. Other Corporate Transportation services that Kevin Smith Transportation Group offers companies in Upper Providence Township, PA include Shuttle Services. This may be needed for moving employees to local SEPTA stations for both their morning commute and returning home in the evening. KSTH Sprinters and Mini Buses are popular vehicles for this service. Some companies, with offices or clients around the country, often have employees traveling through local FBO’s. When Private Aviation is utilized, KSTG Cadillac XTS’s and Black Yukon’s are often seen transferring employees from their offices in Upper Providence Township, PA to those local FBO’s including Northeast Philadelphia Airport, Doylestown Airport and Wings Field. Many companies in Upper Providence Township, PA have been pushed by their Senior Management or Counsel’s office to follow strict Duty of Care requirements with their employees. This means that the days of using an unregulated Black Car Service for Corporate Transportation services is no longer allowed. For Kevin Smith Transportation Group, this means that our Black Car Service division, including our fleet of Cadillac XTS’s, Black Yukons and Black Infiniti’s, are regular visitors to Upper Providence Township, PA.
Upper Providence Township, PA is a township in Montgomery County, PA. The township population is estimated at 21,219. William Penn originally owned the land that is now Upper Providence. After selling off most of the land, he kept a large tract on the east side of the Schuylkill River, which included Upper and Lower Providence and parts of Perkiomen and Worchester. William Penn named the land “The Manor of Gilberts” after his mother’s maiden name. The first person to settle in this area was Edward Lane, who bought 2,500 acres of land from William Penn in 1701. Edward and his wife established the Episcopal Church in Lower Providence. In 1717, John Jacob Schrack came to the township from Germany. Schrack was able to convince Rev. Henry Melchior Muhlenberg to relocate to this area. Muhlenberg was the founder of the Lutheran church in the United States. The first of which was founded in Trappe. 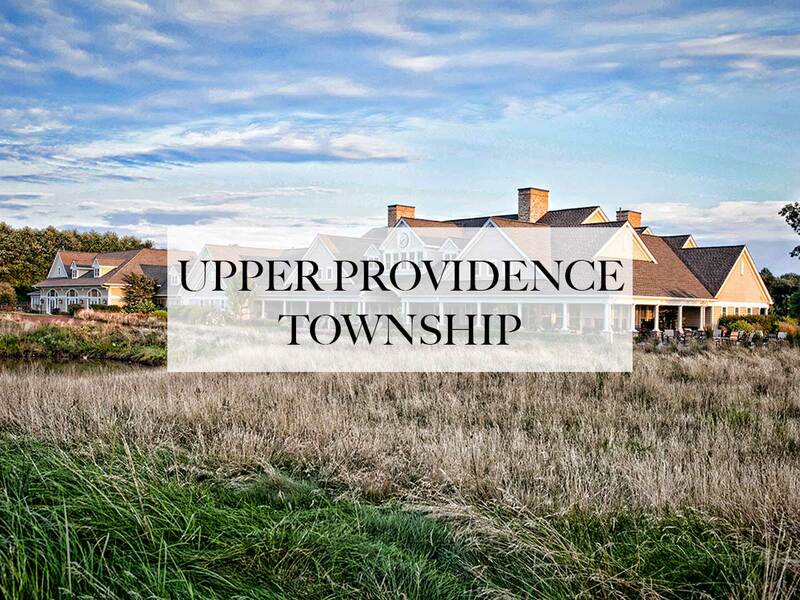 In March 1725 the farmers living on this land petitioned to form a new township called Providence. This land included Upper and Lower Providence. Upper Providence Township was established in 1805 by the division of the former Providence Township along the Perkiomen Creek. In 1896, the Boroughs of Collegeville and Trappe were created from northeastern portions of the township, yielding the present township boundaries. The town of Trappe is the oldest village in the township. Samuel Seely bought 150 acres of land in 1762 and divided it into town lots. Seely named the town “Landau”. The town was better known by a hotel called “The Trap” and when the town incorporated it selected Trappe over Landau. The Schuylkill canal was built to help navigate past rapids on the Schuylkill River between Norristown and Pottstown. It was completed in 1825 and was about 5 miles long, extending from Black Rock dam (Lock 60) to Pawlings dam at the Perkiomen creek in Oaks (Lock 61). In the 1830s Lock 60 was doubled in size and again in 1840s the locks were expanded to handle wider boats. The river traffic helped the surrounding area grow. The settlement of Quincyville started at Lock 60 and the settlement of Lumberville grew at Lock 61. Lumberville thrived with stables for mules, and a general store for boat supplies. In the 1840s these towns changed names with Quincyville becoming Mont Clare and Lunberville becoming Port Providence, which are their current names. The entire team at Kevin Smith Transportation Group is proud of our partnership with every company, venue and person from Upper Providence Township, PA who chooses KSTG as their #1 Transportation Company. We believe our priorities around luxury helps us deliver our services for everything from a once in a lifetime Wedding celebration to supporting our Corporate clients who require use of our Shuttles and Sprinters for a company event. With Upper Providence Township, PA and KSTG working together, we are confident KSTG vehicles will continue to support the entire area for years to come.